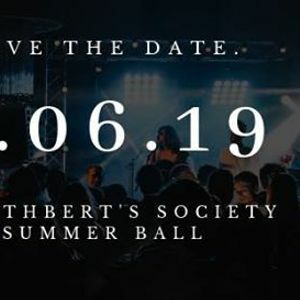 St Cuthbert's Society JCR cordially invites you to this year's Summer Ball taking place on the 9th June 2018. Theme release, ticket information and many more announcements will be unveiled next month. Stay tuned. Guests outside of Cuth's are welcome.